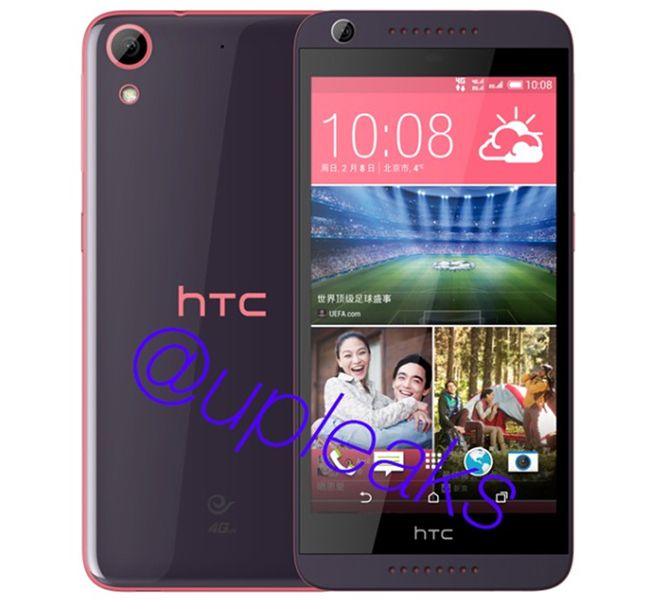 As yet, the cyberspace is already deluged with innumerable tidings and leaks of forthcoming One (M9) aka Hima, now yet another device, Desire 626 came into view to more heat up the global village. Manifestly, noted tipster: @upleaks has publicized few images of HTC's unannounced scion as well as disclosed its almost specification before an official announcement. Discussing about the listed specs, mobile phone will be outfitted with a 13-megapixel primary camera with LED flash alongside a 5-megapixel selfie snapper. Codenamed as A32, handset has been claimed to bear a 5-inch HD display, which renders a pixel resolution of 1280×720p. Notably, the informant has suggested that device has been designed in two variants, wherein first model will incorporate a 1.7GHz MediaTek MT6752 octa-core processor decked with 2GB RAM and 4G LTE functionality. 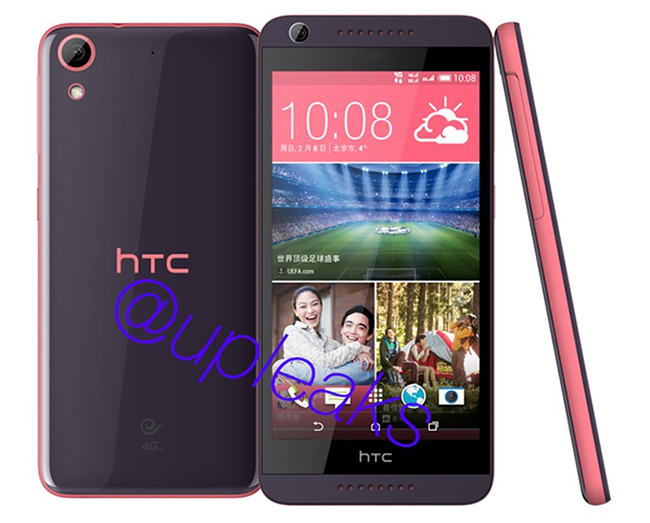 Whereas, another one will be paired with a 1.2GHz Snapdragon 410 quad-core and 1GB RAM just like Desire 620 Dual-SIM. The assimilation of WiFi and Bluetooth connectivity options have also been mentioned by the source. The yet-to-be proclaimed gadget will fueled by a 2,000mAh battery, but details about its lifespan is unspecified. In terms of memory, both the variants are speculated to be arrayed with 16GB of expandable internal storage. Moreover, smartphone will run on Android 4.4.4 KitKat operating system with firm's Sense UI and it will receive latest Android 5.0 Lollipop update later. Well, this Taiwanese tech giant is still tight-lipped about its brand-new heir, so we will have to wait for a while for price and availability details of Desire 626.